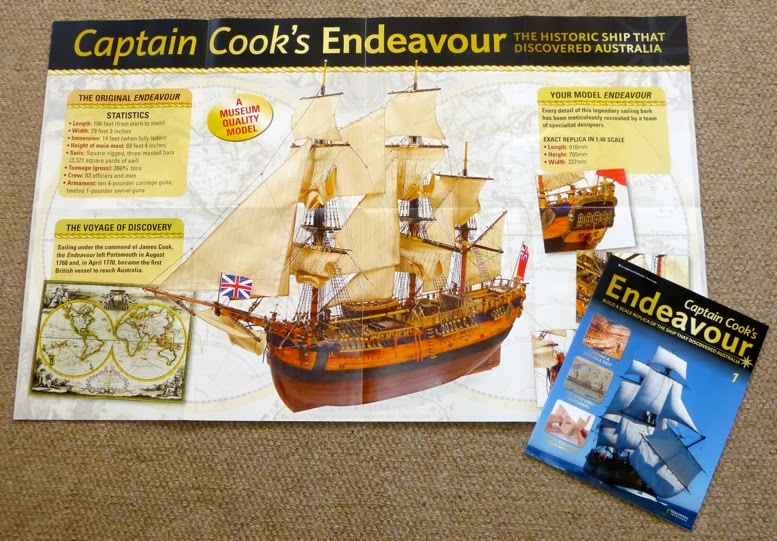 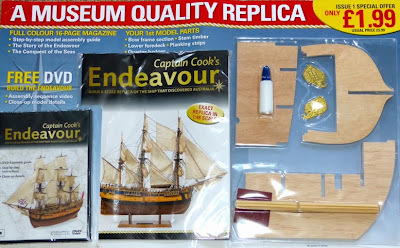 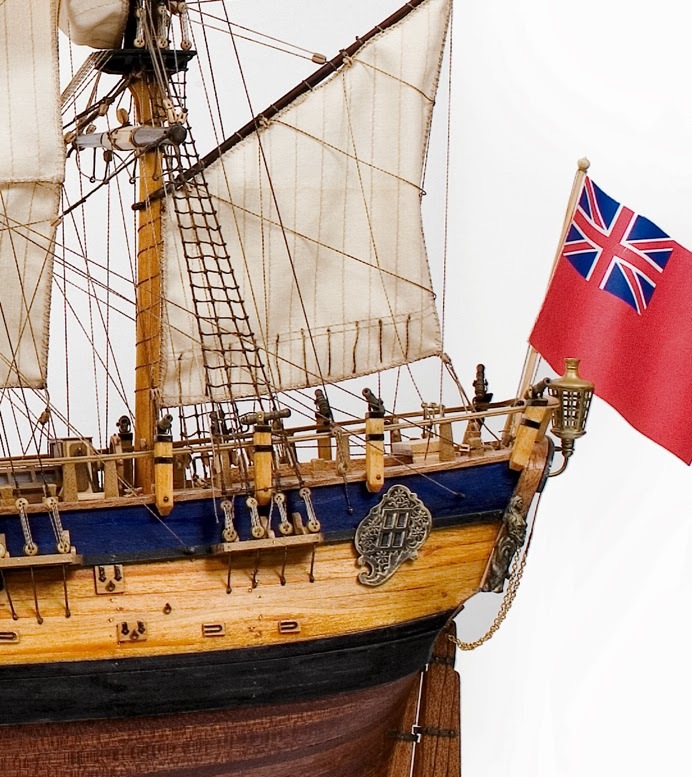 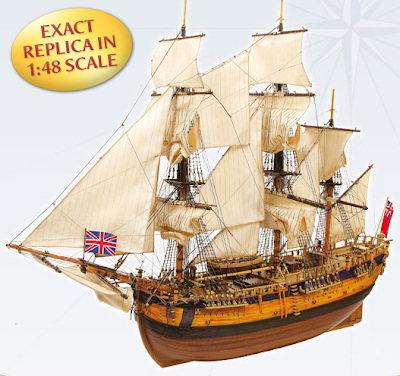 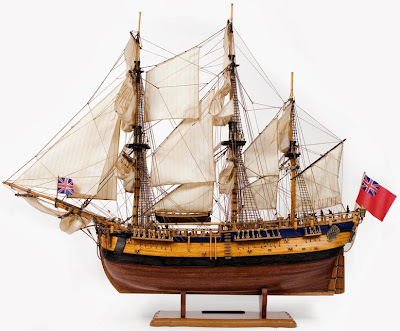 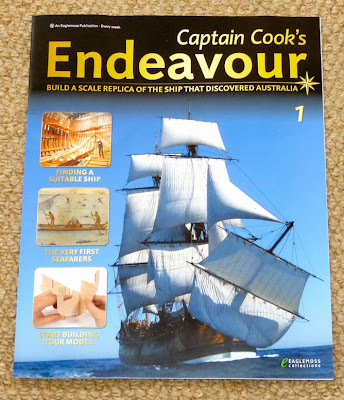 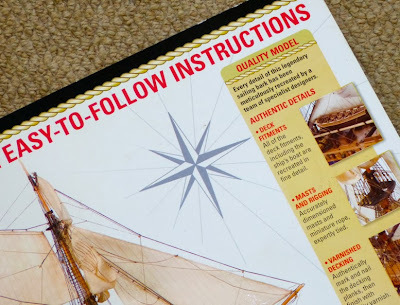 Scale Model News: HMS ‘ENDEAVOUR’ SAILING SHIP KIT: AHOY THERE, IT’S MADE TO MODEL AIRCRAFT STANDARD 1:48 SCALE! First thing to note is that, when assembled, this ship is BIG. She is 916mm (36in) long, with a beam of 337mm (13.3in) and height from keel to mast tops of 765mm (30in). 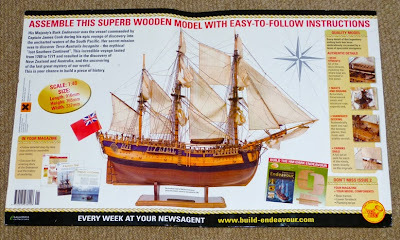 And it gets better, for the Endeavour is made to the kit-standard 1:48 scale. What this means is that ship-lovers can build an excellent display model, but the rest of us have a diorama piece ready and waiting. And for steampunk-fantasy fans like us, the Endeavour is ripe for a makeover. Imagine replacing the sails with gas bags, adding propellers to either side, a tall funnel from a midships steam engine, and you have the makings of a splendid steampunk Sky Trader vessel. 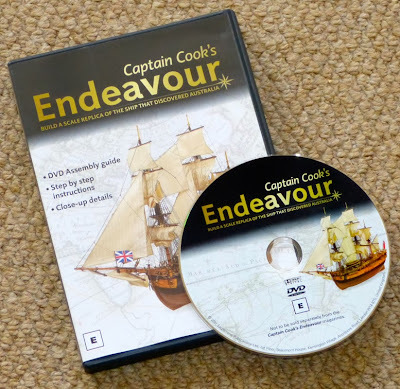 Great stuff… But away from parallel-universe land, and back to James Cook’s era and the kit as it is intended to be built. 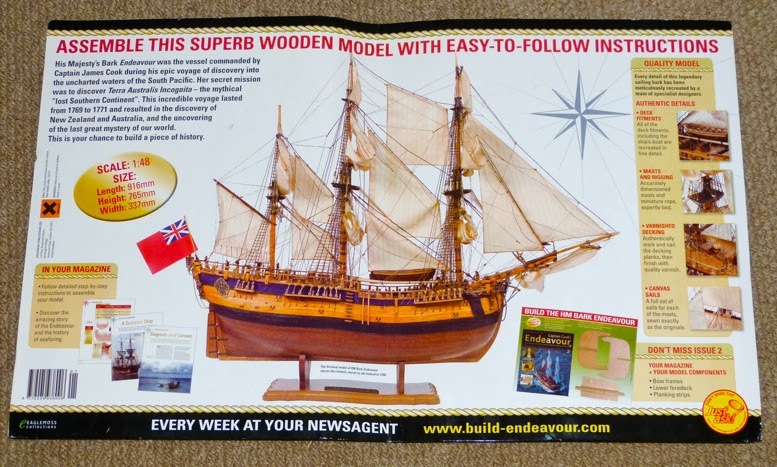 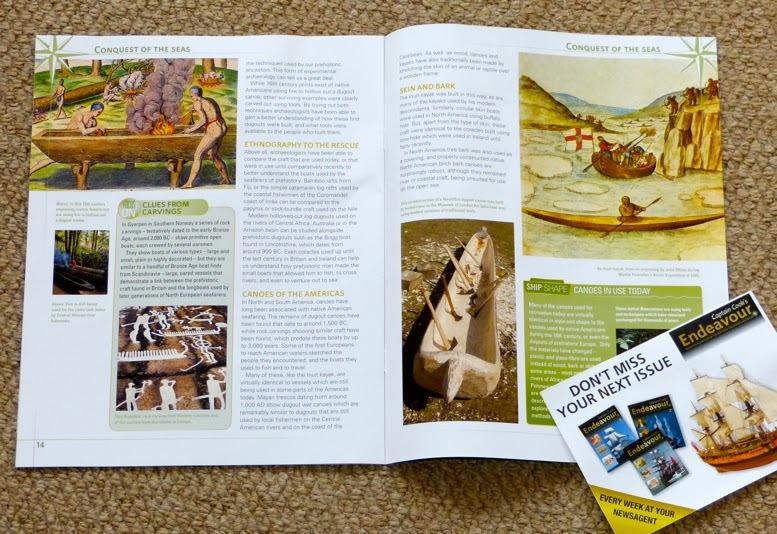 The weekly publication supplies a bunch of components, and a background 16-page colour magazine with each issue. Eventually - after 126 copies - you should have a museum-quality display piece. 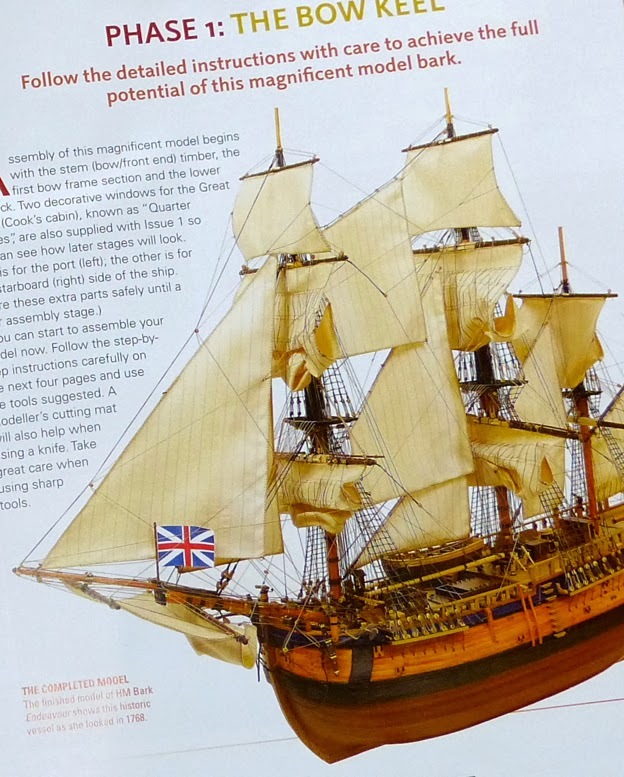 That’s if you have the patience to keep going for more than two years, of course - we’d rather buy it in fewer episodes and get on with the build in bigger chunks. As usual with these partworks, the first couple of issues are lavish and low-priced - after that, the settle-down price is higher. 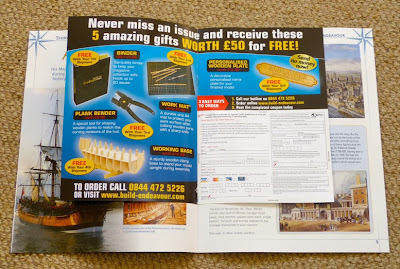 Still, that’s the way the partwork market has always worked, so we won’t knock it here. 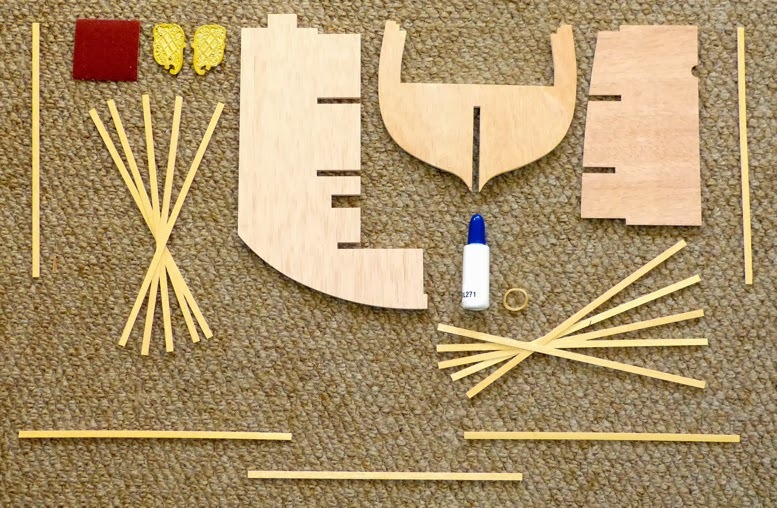 The kit has had a lot of careful attention in its creation, with structural timbers pre-cut in plywood. 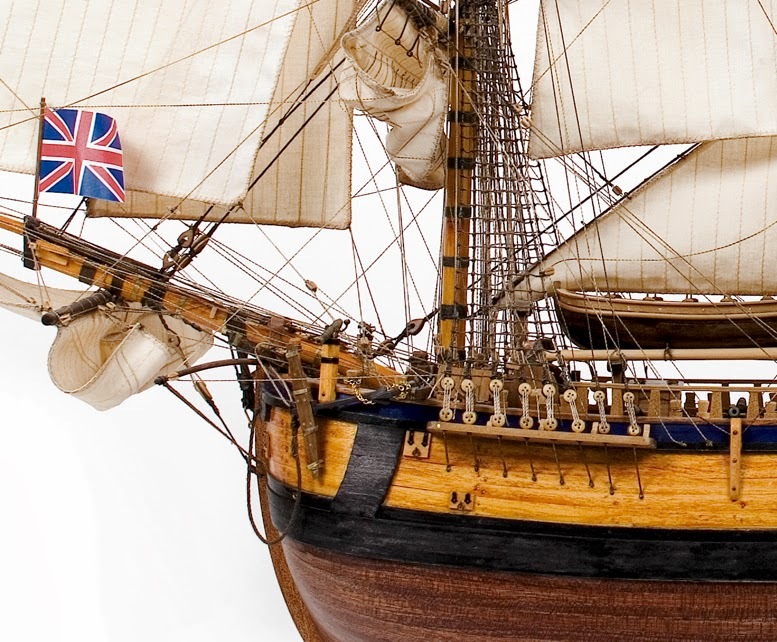 The outer hull and decks are made of hardwoods such as ayous, sapele, and walnut. Ayous is a new one on us - apparently it comes from West Africa and is also used to make guitars and picture frames. 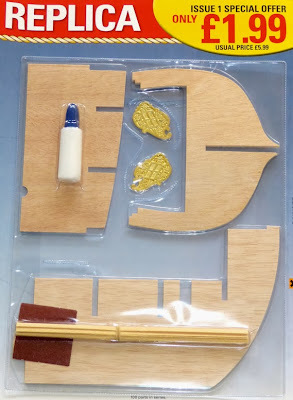 So now you know! The Endeavour is a multi-material kit, with other parts in cast-metal, hand-sewn cotton, and thread. 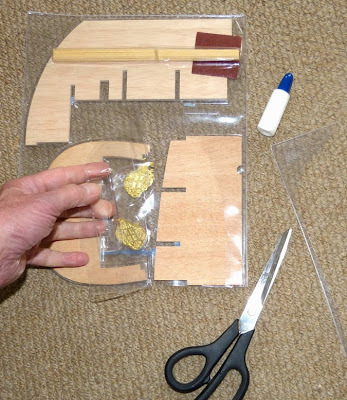 Free gifts for subscribers include an A4-size cutting board, a plank-bending tool, a clamp workbase, and - this is fun - a ‘Built by Your Name’ personalised ship’s nameplate. Plenty more information at the Eaglemoss Endeavour site here. Other sailing ship kits here.